I remember when the Nerf Super Soaker first came out back in 1990 (ish?). It was the most awesome water squirt gun known to exist. The pump action worked great and the craftsmanship was excellent! We were not bubble-wrapped kids back then – we knew how to play and the Super Soaker took a beating — and kept on working. I wish I had my original Super Soaker, I bet it would still work today! Top of the line, this water gun is waiting for you to take the tactical advantage to the yard, sneak up on your enemy and fire away! Soaking your enemy from head to toe has never been easier. 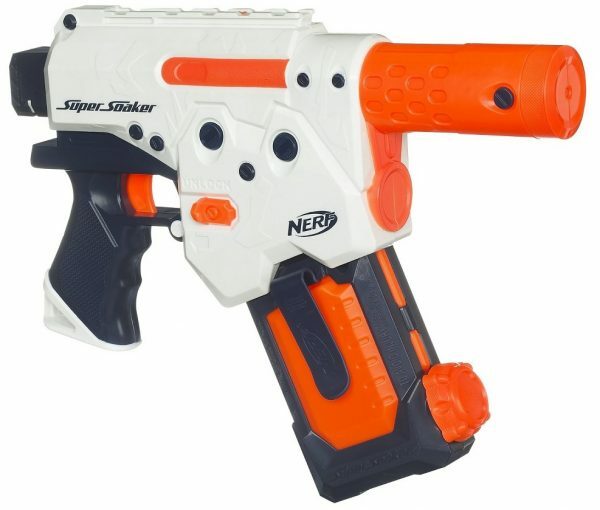 This NERF super soaker is on sale now! Double the action, double the fun! This two pack of Super Soakers Tube Blasters work amazing. Load it up and squirt away! 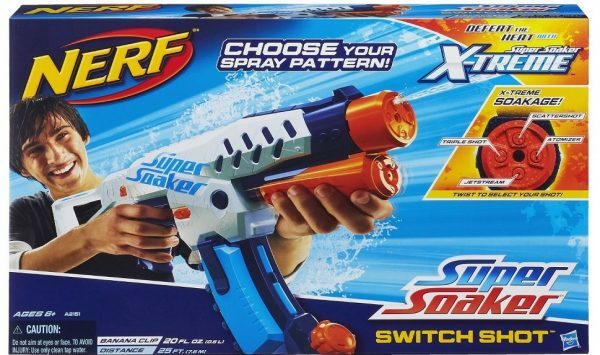 If you’re looking for two water guns and can’t decide, this two pack is perfect – and there’s no fighting over who gets which super soaker – they’re both the same! 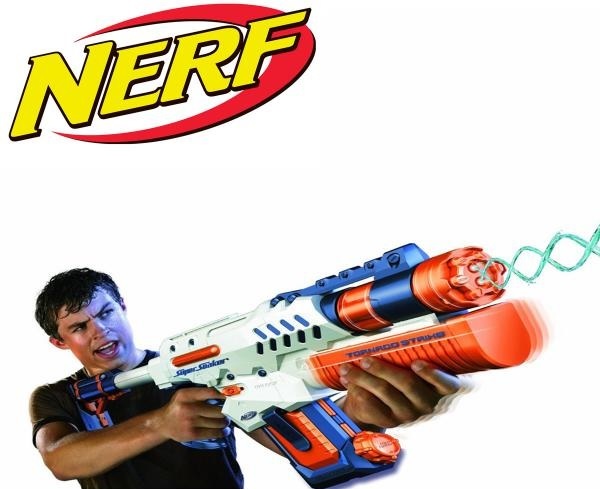 This NERF Super Soaker is motorized to help you soak your battle partners in no time flat! Pull the trigger and let the motor do the work! You’ll soon be ruling the backyard with this Super Soaker water gun! Today’s craftsmanship is no different than it was when Super Soakers first came out. 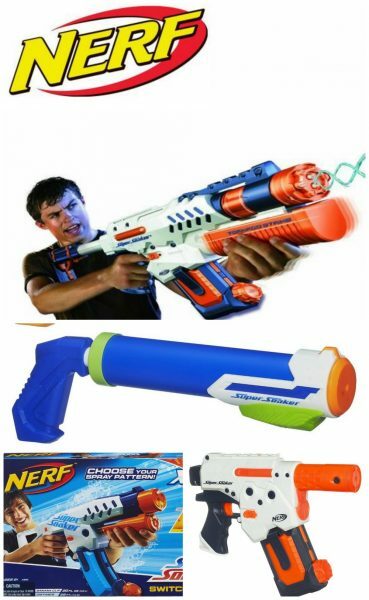 The Nerf Super Soakers are just has durable and well made as the first one – and I had the first one and have had so many more over the years. You can’t go wrong with a Super Soaker water gun! 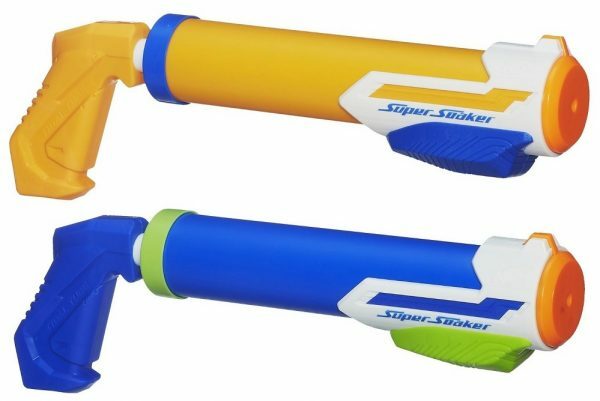 Your kids are guaranteed to love these squirt guns….soakers… SUPER SOAKERS!